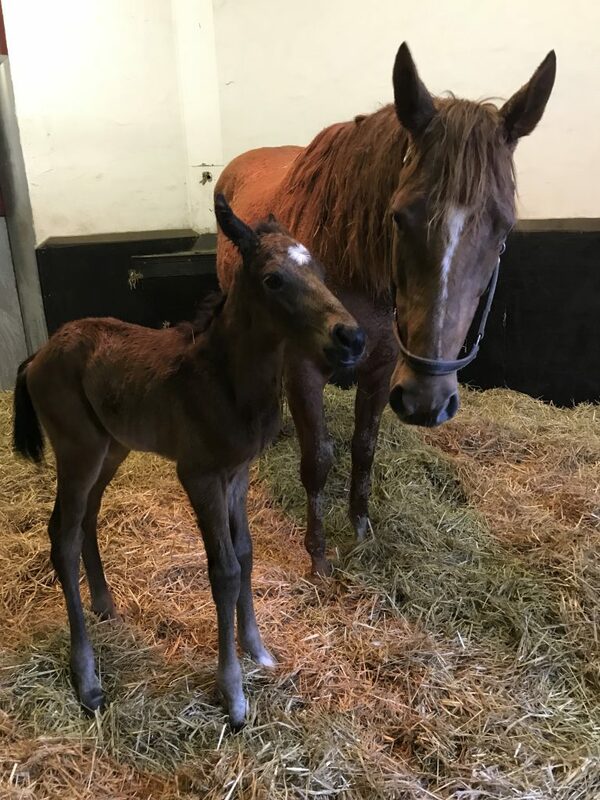 Three down and over forty to go but our foaling season got underway in a flurry of activity as three overdue youngsters entered the world on Monday. First up, just after midnight, Follow The Faith (Piccolo) gave birth to her second Sixties Icon filly, following on from her first foal last year. A winner herself, Follow The Faith is a three part sister to Group 2 winner Riley’s Keepingfaith. As with her sister, this years Sixties filly is very correct and has plenty of size, not only that buts she was up and about in twenty minutes. It’ll be interesting to see what her full sibling is like when she enters training with Mick Channon in 2019. 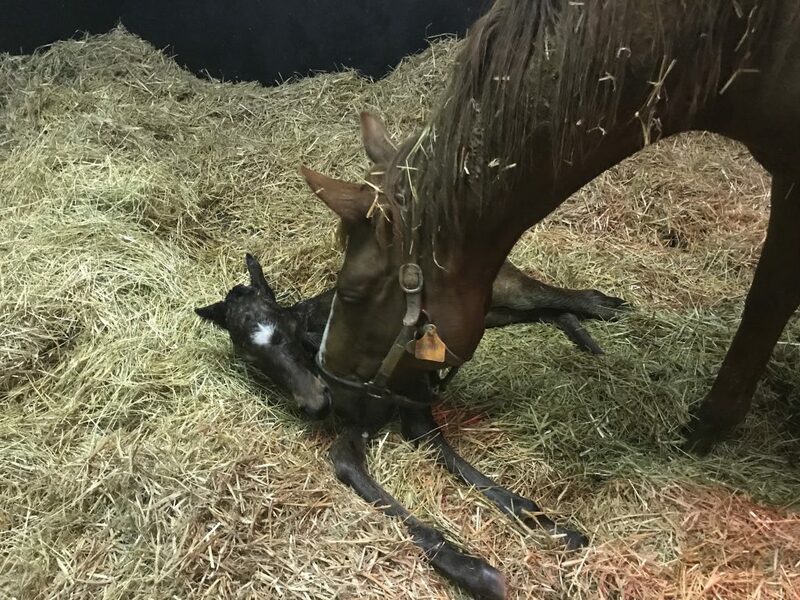 Only five hours later and our second arrived as Hairspray (bahamian Bounty) gave birth to a smashing Kodiac colt. 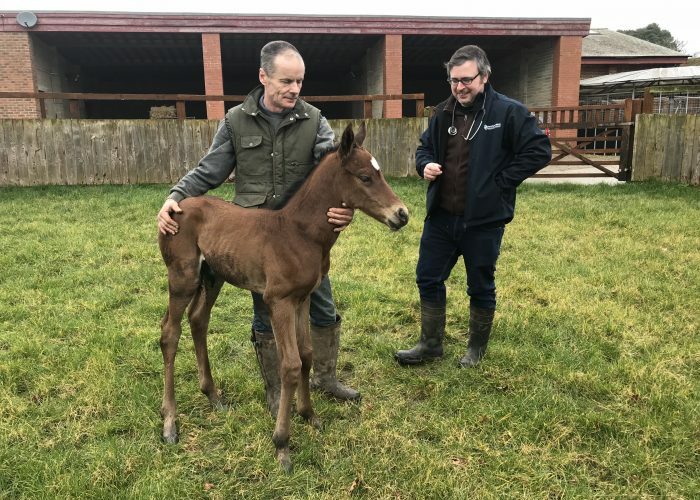 Hairspray was a decent racehorse in her own right but there is extra excitement about her latest foal as he is a half brother to Group winner Epsom Icon, another graduate of the stud who performed so admirably for her owner Steve Pearce and trainer Mick Channon. He looks a cracker and, as with the Follow The Faith filly, there were no problems whatsoever, the pair of them, along with their mothers spending the afternoon out in the nursery paddocks on a very mild February day. Hairspray's Kodiac colt, two hours old. Zarafa (Fraam) was the longest overdue of them all and she waited until six o’clock in the evening before bringing up the hat-trick and producing a very leggy Kodiac filly who is a half sister to Group 2 Balanchine winner Opal Tiara. 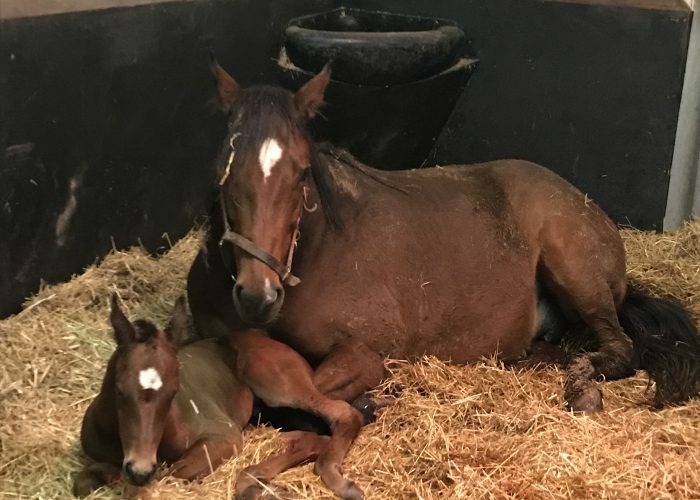 She took plenty of time to find her feet but it’s been a long wait for Zarafa’s latest newborn and hope springs eternal that she can scale the heights of her half sister. Mick Channon was even on hand for the birth having arrived from West Ilsley to see the first two. 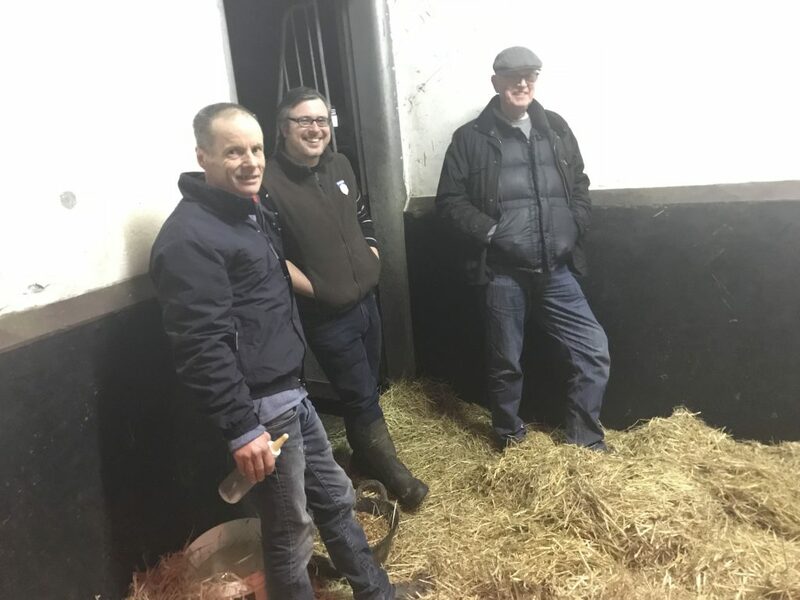 We have a week until our next mares are due – It looks like Keith might get a few days kip now and if they all come within hours of each other, the job might be a little easier. Norman Stud 2017. All rights reserved.